Home WHATSAPP Whatsapp end to end Encryption: what does it mean? Whatsapp end to end Encryption: what does it mean? 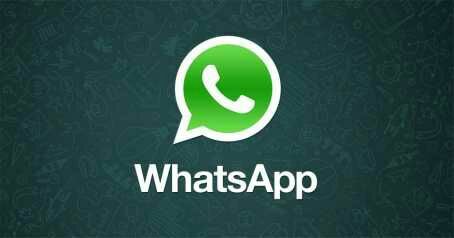 Its a great news that Whatsapp has improved their security interface by integrating end-to-end encryption. You might be wondering, "what end-to-end encryption means?" and what it does. Well, let me break it down for you guys this way. The end-to-end encryption is a feature that secures our privace i.e it makes sure our private messages stays safe without being compromised with or stolen. However, every communication being made on whatsapp is kept private. Therefore, whenever you send a message to someone or you send group chat info, not even a hacker,cybercriminals, oppressive regimes ,not even whatsapp can go through the messages. According to Whatsapp, the end-to-end encryption is sort like a face-to-face conversation. So once you’ve updated your whatsapp to the latest version, it comes with the end-to-end encryption by default. However, every message you send to the recipient is being encrypted with a unique lock key. This feature also makes sure that the calls you make are end-to-end encrypted. However this end to end encryption is only possible if both end user(s) has updated their Whatsapp to the latest version. By simply looking at the contact info or group info you can tell if the other person has end to end encryption on his or her Whatsapp. If you’ve not updated your Whatsapp, do so to gain access to this feature.